Truly one of the most beautiful places on earth, you will not want to leave the town of Bariloche once you arrive. The town sits on the edge of the Lake Nahuel Huapi, and is surrounded by majestic peaks all within Argentina’s first national park. 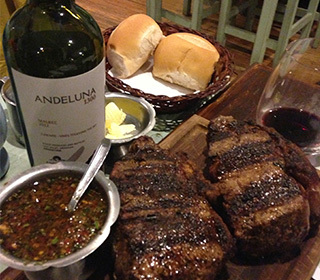 The streets are filled with superb restaurants, lively bars, and copious chocolatiers! 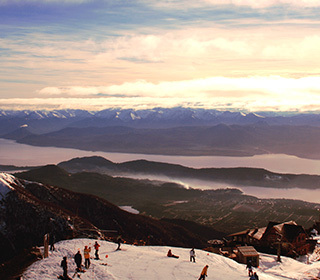 Bariloche is the center of Argentine mountain culture with a rich history of skiing and climbing. 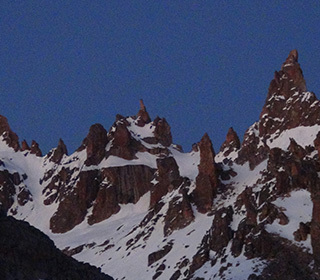 Spectacular orange granite spires pierce the snowy ridgelines and the lake shimmers below the slopes of Bariloche’s Cerro Catedral . Catedral is a well-developed resort with a distinct European influence that attracts a good number of tourists all winter long. 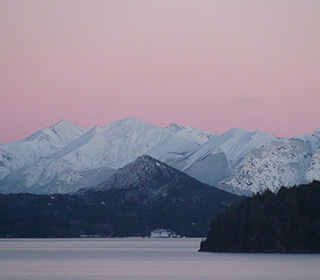 During the summer months Bariloche is even busier. Catedral provides the best access to Refugio Frey a backcountry couloir paradise. Bariloche, the adventure capital of Argentina and the gateway to Patagonia, is a destination not to be missed. 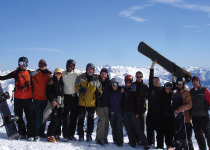 Great culture, great skiing, great food, great nightlife, great town!